Are you moving home? Buying, selling or remortgaging your home in Leek? You can get an online instant fixed fee conveyancing quote from an impartial, accredited licensed conveyancer or solicitor, in the area where your property is located. Buying residential property in Leek? Save money and time by using our purchase conveyancing quotes market comparison service. Simply enter your details into the remortgage conveyancing quote calculator below then compare Conveyancing Solicitors in Leek in order of price, location and lender if required. Leek is in Stafforshire and 10 miles from Stoke-on-Trent, and is at the edge of the Peak District. Close by for tourists is the steam railway and AltonTowers. Transport links are by bus to Buxton and Macclesfield. Enter your property details and view conveyancing quotes in Leek. Our expert legal panel, made up of UK regulated solicitors and licensed conveyancers, can provide you with a fast efficient conveyancing quote in Leek. You can get advice on Conveyancing in Leek from any of our solicitors without any obligation from you to instruct – simply get a quote and arrange a call. Your dedicated Leek Conveyancing Solicitor will contact you regularly to update the progress of your transaction. Q: We are thinking of buying a property but are on a tight budget. Who are the cheapest conveyancers in Leek? A: There are High Street conveyancers in Leek that will advertise cheap packages, all-in-one discounts and special offers. However, these may not be quite what they seem. The required searches cost a few hundred pounds when added together, so there are sure to be other charges not advertised in the shop window. Visit conveyancingsupermarket.com to compare a panel of trusted conveyancing solicitors, all of whom have a solid track record. You will find quotes for the whole process, with a guarantee of no extra fees. Q: The property we want to buy has modern replacement windows. How do we find if these modifications are permissible by the local council? A: A trusted conveyancer will carry out a local search to find if any modifications to the property have been subject to the necessary planning scrutiny. Q: What other searches will the conveyancer need to do? A: Searches are either recommended by the conveyancer or required by your mortgage lender. Firstly, there is the local authority search, which examines whether the property is a listed building, for example, whether there are any road building plans or proposed new housing developments that may affect the property. A Land Registry search will check both the title register and title plan to ascertain if they are in order. Then there are water authority searches, environmental searches and chancel repair search, to find whether the property owner is liable for repairs to a nearby church. 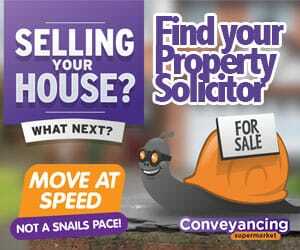 Q: How can I speed up the conveyancing process? Will it be cheaper if it is carried out more quickly? A: Conveyancing will not be any cheaper if the process is finished sooner – agreeing a fixed price with a conveyancer will not be affected by the time frame. Before you even put in an offer for a property, you should do some research into the conveyancing process. This way, you can play your part in answering any queries your conveyancer may have quickly and thoroughly, as well as being equipped to ask him or her relevant questions. Q: Is Stamp Duty in Leek higher or lower than the national average? A: Neither. Stamp Duty is the same across England and Wales. It is calculated on a rising scale, from a zero rating for properties less than £125,0000, to 12% of the purchase price for those selling for more than £1.5 million.